Inspired by Savannah: Want a Fun Family Game to Play During the Holidays? Your Search is Over...Get 15% off Watch Ya' Mouth Throwdown Edition Now! Want a Fun Family Game to Play During the Holidays? 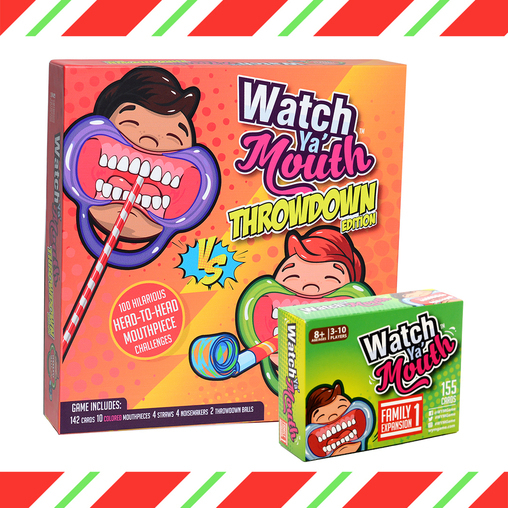 Your Search is Over...Get 15% off Watch Ya' Mouth Throwdown Edition Now! Disclosure: I will be provided with a sample from the vendor in exchange for an honest review. All views shared are mine and mine alone. My family loves game night...and the more hilarious the game, the better. And, when the holidays roll around my family and friends know they will be in for a treat as I pull out all the fun games for everyone to play -- that way there is no awkward silence or wondering what to do before or after dinner. 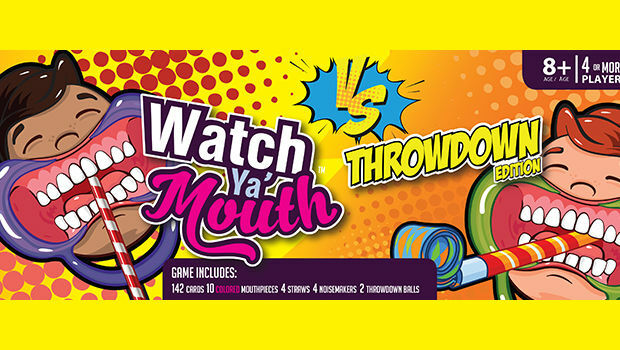 One game I have heard so much about, but haven't had a chance to try out firsthand is "Watch Ya' Mouth Throwdown Edition"? Have you heard of this game or the other games in the Watch Ya' Mouth series? If not, and you love games like my family does, then you will want to check it out and pick it up in time for Thanksgiving and Christmas dinners or get togethers you may be hosting. 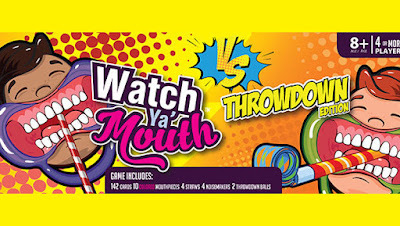 "Watch Ya' Mouth Throwdown Edition is the evolution of the original, wildly popular, hilarious Watch Ya' Mouth game. Rather than just speak phrases, players now go head-to-head with hilarious and challenging tasks - while wearing mouthpieces. Throwdown Edition takes competition - and laughter - to the next level and builds on the multi-generational gaming phenomena. Throwdown Edition has already been Awarded Top Holiday Toy of 2017 by Toy Insider & selected for the 2017 Amazon Holiday Toy List." Doesn't this look like so much fun? I can't wait to receive our game sample and capture some memorable clips of my family playing this game. Stay tuned for my review in the next few weeks. But, in the meantime, why not pick up this game before it sells out this holiday season?